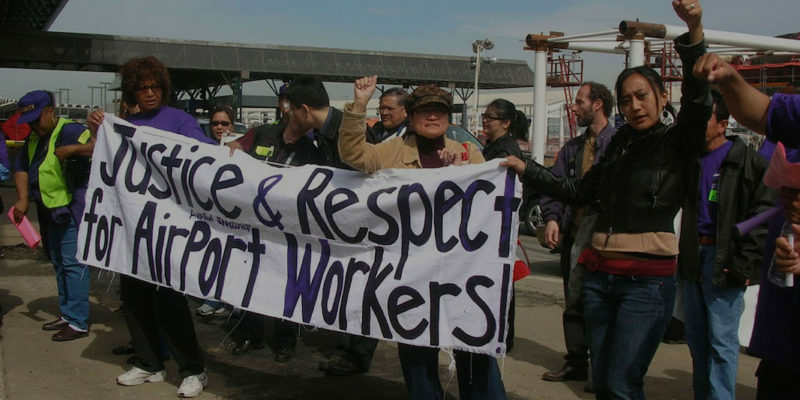 Filipino Advocates for Justice’s domestic workers project is aimed at empowering low-wage workers (mainly caregivers) to advocate for themselves and, with the help of different group advocates, reform the industry by improving working conditions for all caregivers and domestic workers. For over 10 years FAJ has operated a caregiver empowerment project to support the increasing number of Filipinos who find work in this exploitative industry. 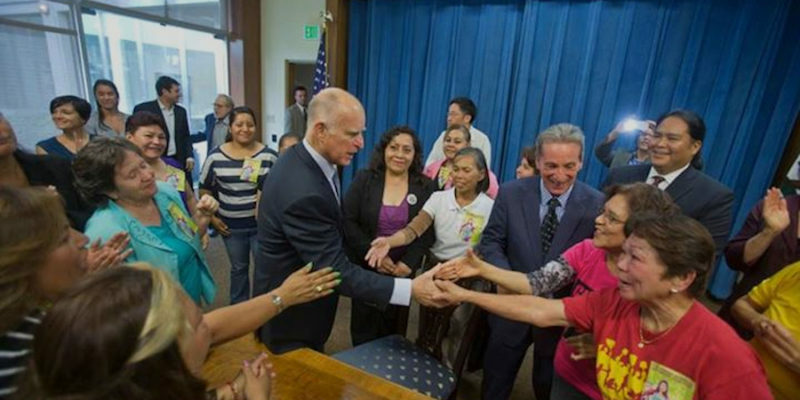 In the early years this included helping workers escape from employers who held them captive and campaigning for the first California Domestic Worker Bill of Rights in 2006-07. FAJ later joined the National Domestic Workers Alliance (NDWA) and helped found the CA Domestic Worker Coalition (CDWC) which continued the fight for and won the CA Domestic Worker Bill of Rights in 2013 which was made permanent in 2016. 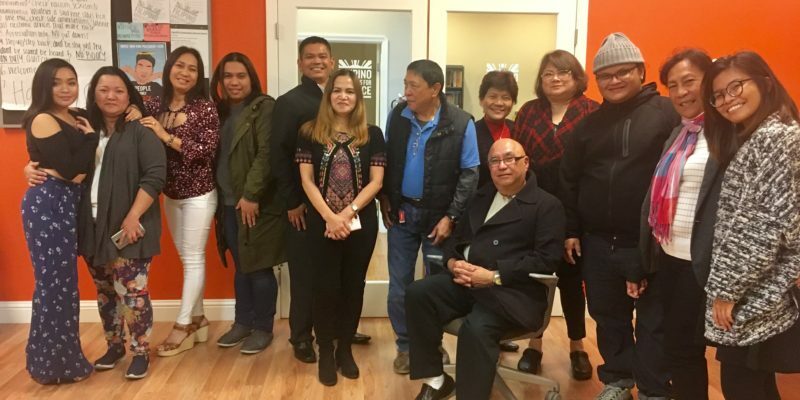 FAJ remains on the steering committee and continues to organize caregivers through Know Your Rights education, a wellness support group called Kapwa Ko, and wage theft support. Over the last 7 years while in collaboration with Advancing Justice-Asian Law Caucus, Employment Law Center, and Women’s Employment Rights Center (WERC), FAJ helped caregivers recover over 1 million dollars in lost wages..
Kapwa Ko meetings provide space para sa mga caregivers and other workers to network and get help with wage calculations, wage theft, immigration questions, housing needs and general information and referral. Text “YES KK” to (959) 999-9598 or call (510) 465-9876 for details and next scheduled meeting. May tanong ba kayo tungkol sa karapatan ninyo bilang caregiver? O sa sweldo ninyo? 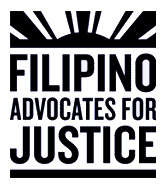 Filipino Advocates for Justice provides information about workers rights and the recent protections provided for through SB1015- Domestic Worker Bill of Rights in 2016 that makes overtime pay a law. Kung may mga katanungan kayo patungkol sa inyong mga karapatan o kung kailangan niyo ng tulong in calculating your wages under the new Bill of Rights, please contact us at (510) 465-9876.